Waaah! utter torture. 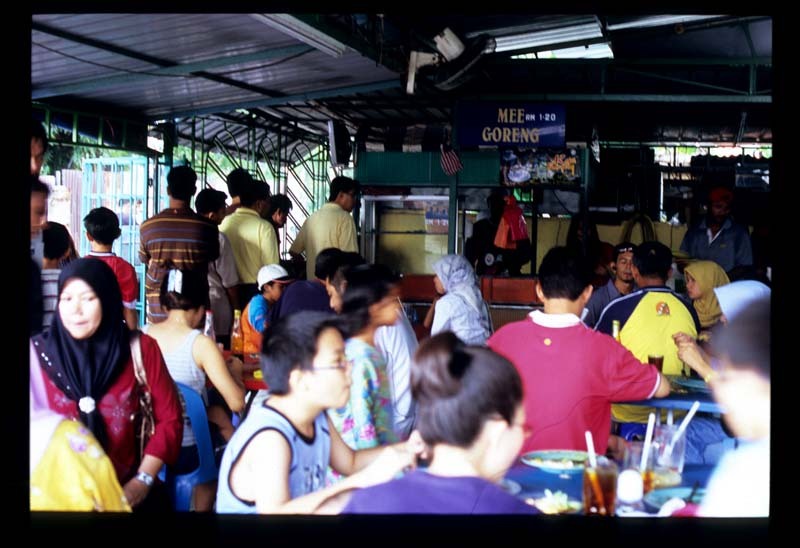 At least the people seated after you have hope of enjoying Hassan's Mee Goreng. We who drool over your blog have no such hope. 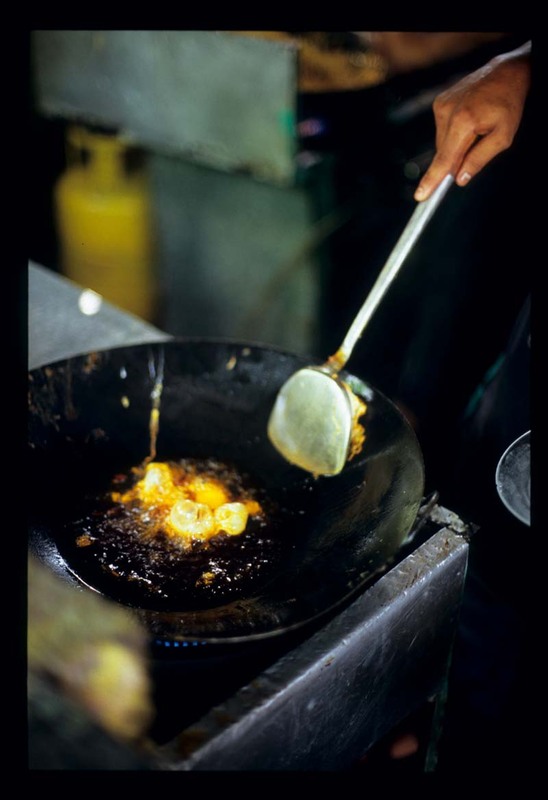 Didn't know that it could be cooked that simple yet delicious. i have been eating mee hassan since my schooling days in malacca err approximately 15 years ago. even though i'm now residing in KL, i've make it a point to eat this-before-you-die-mee once a month. Your post brings back memories of my schooling days. Hasan's stall is just a mere 2 mins walk from my school. 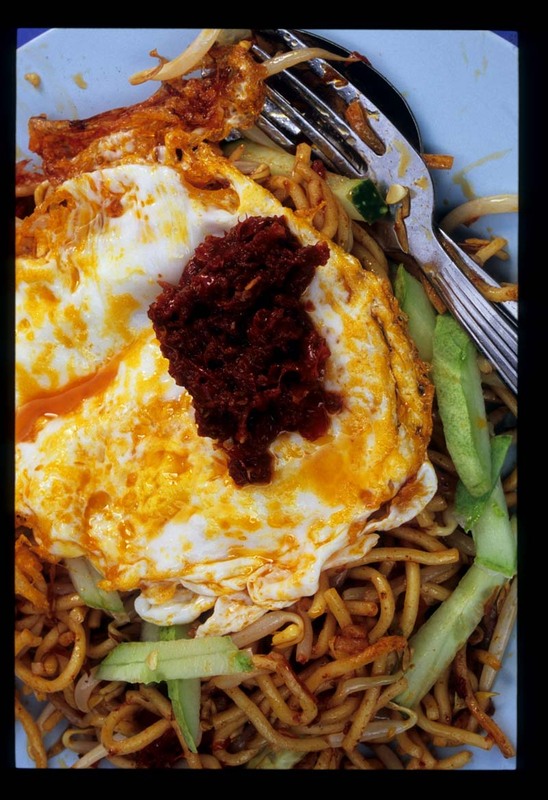 And yes, the mee goreng is simply divine in its simplicity. 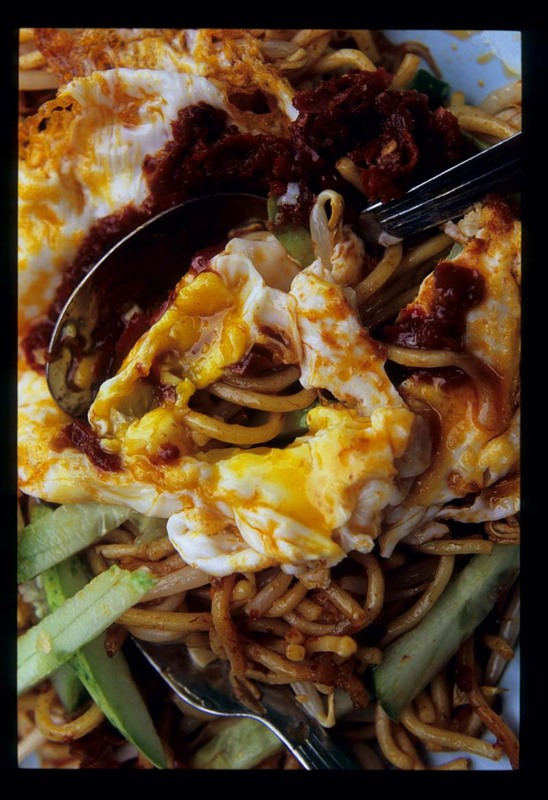 I have eaten the mee goreng and I don't like it as it looks good with the fried egg as an additional. Nothing great. Just an ordinary mee. Perhaps those eating have not much places to eat or have lost their taste buds. Everytime I go back to Malaysia, this mee goreng is a MUST! I like that it is so simple yet delicious, and also really cheap. 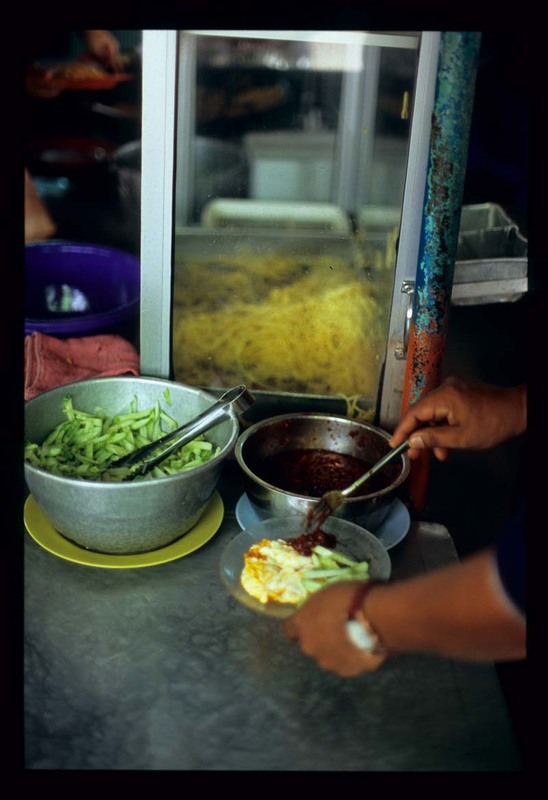 Why can't all mee goreng just be served with bean sprouts, cucumber and nothing else? Sarah, taste is subjective. No point slagging on pple who find something that you don't happen to like tasty. Emily - thanks for the reminder of these delicious noodles. We need to get back to this place. 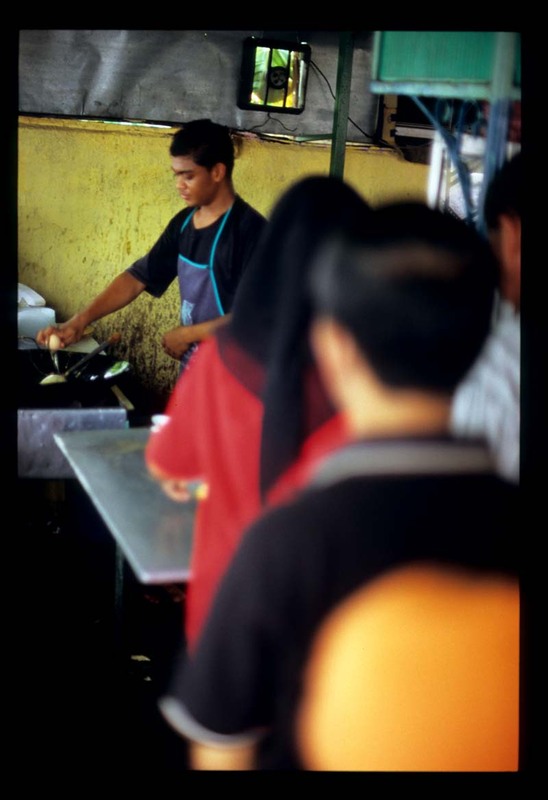 I remember eating at this stall since I was young n i certainly must say this is one of the best mee goreng I ever had especially it goes well with the fried egg.